Yesterday was my 45th birthday and by 9am I officially had the worst flu I can remember this side of the grass. I prayed over and over for Jesus to just take me now (how neat and tidy that would be to check in and out of this world on the same date?). But alas, I made it through, have now showered AND eaten some food. WaWhoo! To celebrate my big “barfday,” I just decided to have a little sale over at my ETSY store and all the cute Birdie Bags are just $45 until April 1st! But the REAL reason I jumped on to pen you a note is that I have been chewing on loneliness. Last week, I met up with Dr. Marty Carpenter again (The Heartache Connoisseur) and we recorded another episode for his Podcast [a link to listen is below]. 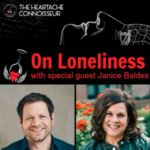 We talked about the big “L,” loneliness… and I am becoming more and more convinced that this is one of the most common ailments of our current age. The more work I do in the area of emotions, the more I see the pattern in my own life and others of “numbing” unwanted emotions… we flee from them. And loneliness is at the top of the list of emotions we don’t want to feel. The more we numb, the less we even become aware that we are doing it and then these masks become involuntary habits. Numbing looks like alcohol, food, buying stuff, Netflix binges, work, overactivity and busyness, drugs, addiction of any kind, living in fantasy more than reality, high sugar intake, being a fitness junkie, constantly scrolling on your phone… the list is truly endless. Running from emotions may be a temporary reprieve from the pain, but then you miss out on the good stuff – joy, healing, and wholeness. So we have to learn how to identify the numbing habits and break up with them. Are you with me? I hope you are because these numbing habits truly keep us from LIVING! Grab some paper and a pen. Take a look at your week and identify places or patterns where/when you feel the most lonely. It may surprise you that these times include being with people that you love dearly… like your family or friends. Not sure where the loneliness is? Follow the breadcrumbs of Netflix, food, shopping, scrolling…. As hard as it is at the moment to believe it, it’s not true, so don’t allow yourself room to create space for it. I know, easier said than done. From my own experience, I’m going to go out on a limb and challenge you to look a little deeper into your loneliness and ask yourself if you are seeking approval? Often we are chasing approval from someone or something we were never meant to live for. When we stand in Gods Love, 100% approved, accepted and enough, we are no longer chasing something that has already been given. We were never meant to live for anyone else’s approval, but how easily we fall into wanting it, right? When we free ourselves from needing approval, we need nothing in return. 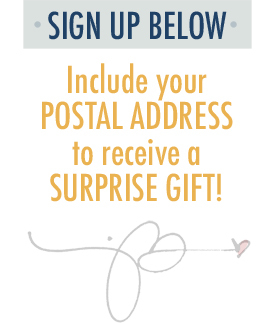 We are then free to show up and give to one another what God has already given us… Love. This means we have to stop indulging loneliness with numbing behaviors. Again, easier said than done. I’ve got a rollercoaster of data to back this up. I’ve adopted a mantra that helps me so much and I’m sharing it in hopes that it might help you. When confronted with past patterns of behavior that I know are numbers of feelings I say to myself, “that is not you anymore.” You have to be aware of the numbing behavior and find your thing that can stop it in its tracks. We were never meant to do it alone, we need community. All of these steps are easier said than done, but for me, this one might be the hardest. For some reason, it feels like I shouldn’t have to ask for help. I mean seriously, loneliness? Just go hang out with some people. But we can be with 1 person or 100 and still feel lonely if we aren’t filling up from the only source that is pure… Our Father God. And we aren’t going to fill up if we don’t make time for it. Many years ago, after years of saying I needed to spend time each day with God, I finally committed to giving Him the very first part of each day. I started with a blank journal, rewarded myself with coffee and a new candle and chose a space where no one could come bother me (it was the closet under the stairs). I decked it out and affectionately began referring to it as my “Java with JC.” I just started writing a letter to God, every day. Dear Jesus, Dear Papa, Dear Abba… and let my heart pour onto the pages. I started by creating space for God to pour into me and then found a “soul sister” to pour my heart out to and share the journey of learning through those pages with. It has been a supra experience and if you need a nudge to get going, shoot me an email: janicebaldes@gmail.com. As we head into Easter weekend and I reread the words I’ve just penned, I think of Jesus. My Lord, My Lord, why have you forsaken me? The cry of the spirit – it’s a deal, isn’t it? Don’t ignore it, friends. We are here to do Kingdom work and when we allow ourselves to continue indulging in the numbing, all hands and hearts are not on deck. Not only would your life change if you leaned into this, but the piece of this world you are here to bless with all the beautiful gifts inside of you is no longer sitting on the sidelines, with a great big “what if” next to it. Don’t miss out on living! Jesus has a white-knuckle grip on you, on me, on all of us – I promise. And we can live 100% loved, approved, and enough because It. Is. Finished!